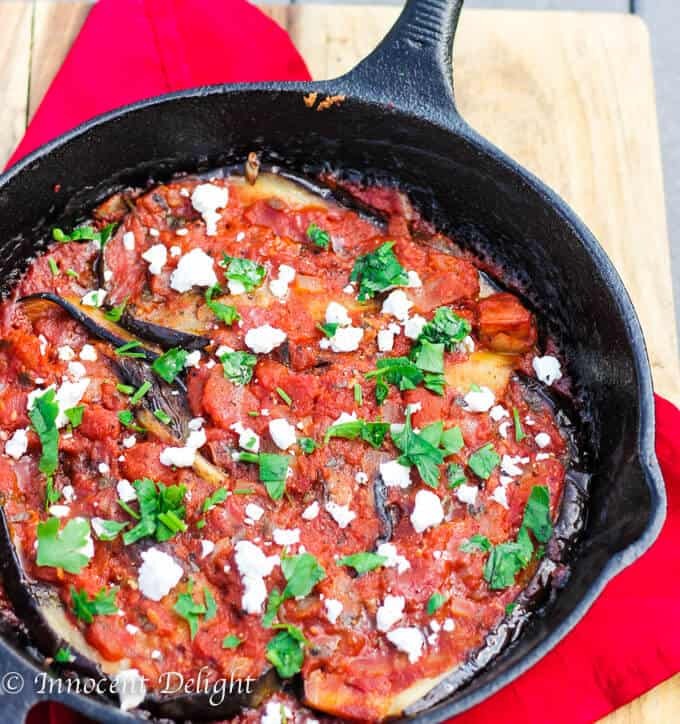 Turkish Inspired Eggplant with Tomatoes – Imam Bayildi made right in a skillet. 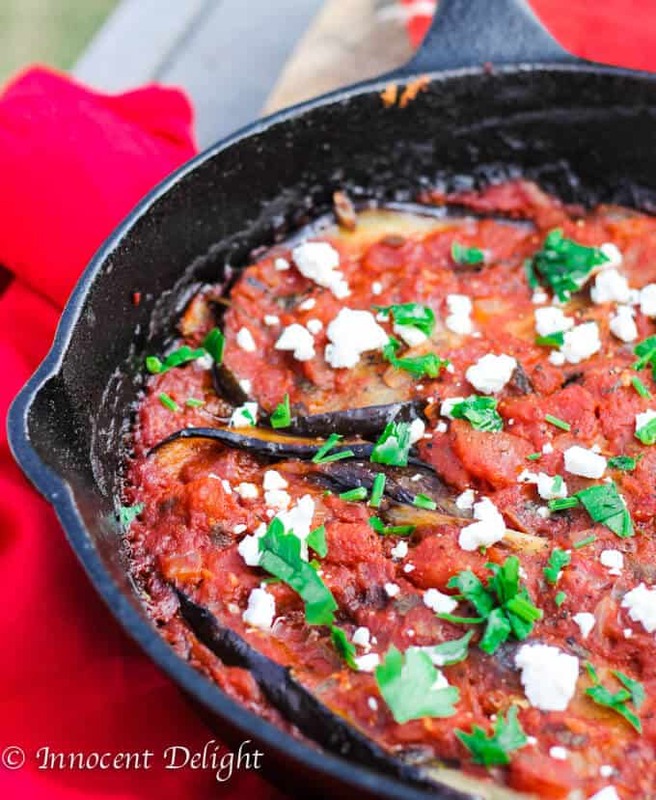 Turkish Inspired Eggplant with Tomatoes is our new family favorite. 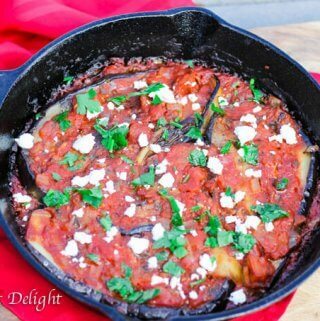 Eggplant is one of the vegetables that my husband actually likes, without the need for repurposing, so I’m trying to find new ways to incorporate it into different dishes. This one is inspired by Turkish dish called: Imam Bayildi. 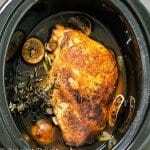 There are a lot of different versions of this dish, with subtle variations. 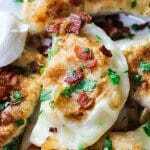 Personally, I can understand this, as I know how many different version of the same Polish dish can be found in my country. I’m not Turkish but I love all the Meditereanean flavors, so this dish was on my to do list for a while. 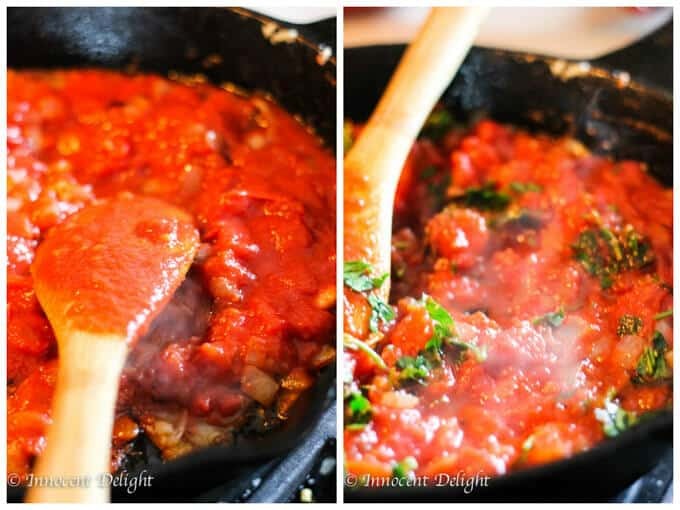 I knew that staples for this dish were: eggplant, tomatoes, onions, garlic, parsley and cinnamon. And I took it from there…. 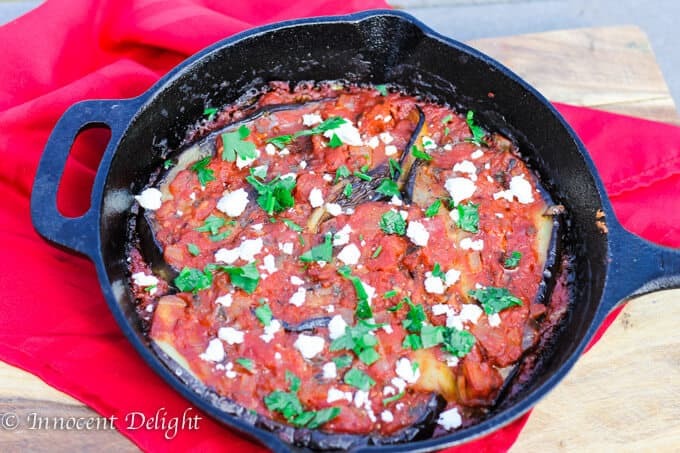 It’s pretty easy to make this Turkish Inspired Eggplant with Tomatoes dish. 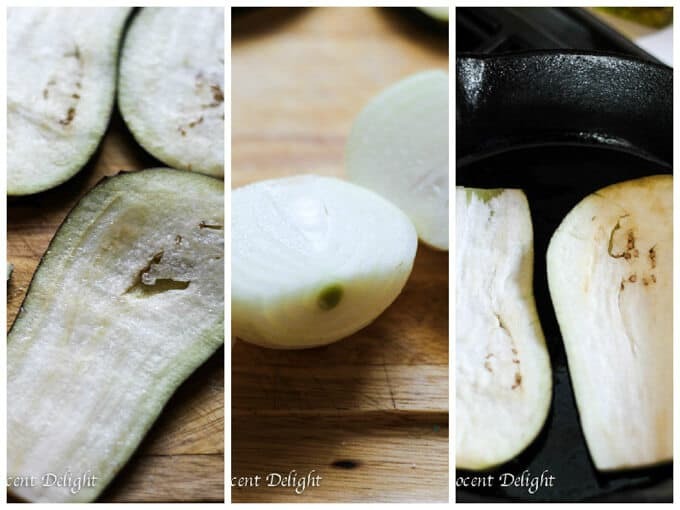 First you’ll need to slice the eggplant and salt it on both sides. Then let it rest for about 20 minutes. The eggplant will release the water that you can dab away with paper towels. 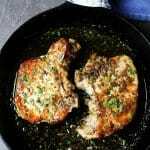 Then using olive oil you’ll need to fry each slice on both sides, on a cast iron pan or another heavy pan, in batches. After you’re done with all of the slices, remove them from the pan. Then add onions to the very same pan and sauté until translucent. You’ll then add garlic, chili flakes and cinnamon. Later on, add the tomatoes and cook for about 10 minutes. 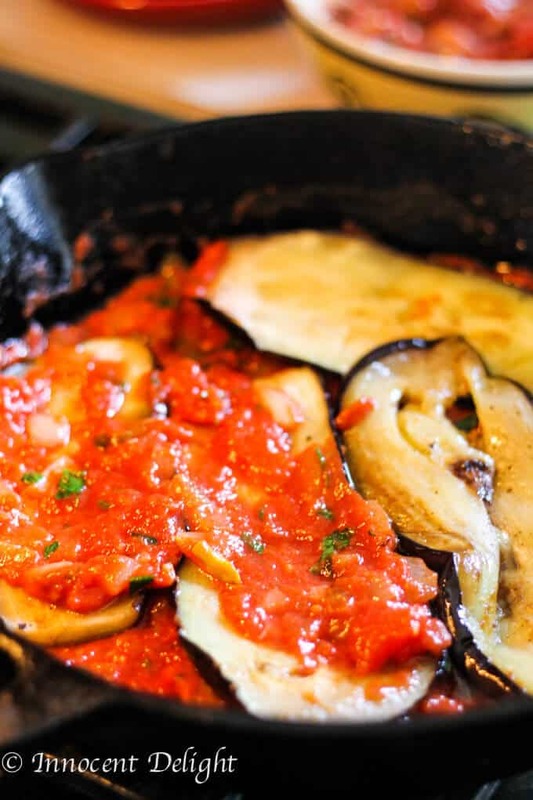 You’ll need to remove 2/3 of the sauce and place the eggplant slices into the pan in layers, covering each layer with sauce. Ultimately the dish will finish up cooking in the oven. I chose to sprinkle it with feta cheese afterwards – as everything tastes better with feta. Check the recipe below for more details. 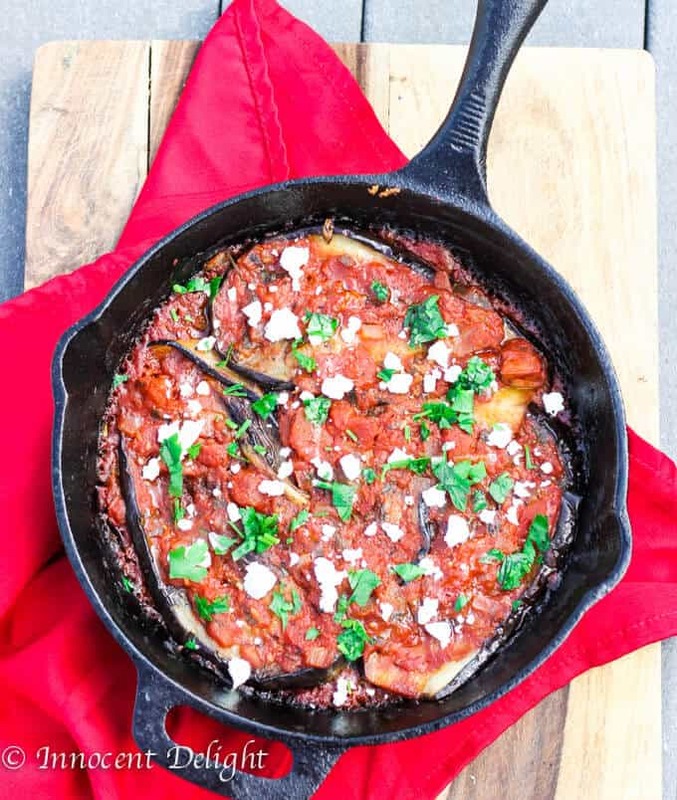 When I made this Turkish Inspired Eggplant with Tomatoes for me and my husband it hadn’t even crossed my mind to give it a try to my 22 month old toddler. However, when my husband had some leftovers for a snack the next day, our son really wanted to try. And guess what…our toddler bullied my husband off the plate (affiliate link). Our little man loved this dish so much that he ate almost all of the leftovers. Continue until all the eggplant slices and sauce are used. Adapted from Turkish Eggplant Casserole with Tomatoes (Imam Bayildi) by Feed Me Phoebe.